​Collecting dust at the source is absolutely the best way to maintain your shop air quality. It is MUCH easier to capture dust close to its source than it is to clean it after it escapes into the air. Think of it as a feather pillow... its much easier to collect the feathers while they are still in the pillow case than it is to collect them after they've been spread throughout the room. There are three general categories of products that are commonly used for small shop dust collection at the source. Hover over or click on the images above to see information regarding each of the units shown. If your tools don't have effective dust collection ports then, to maintain healthy shop air, you need an air cleaner system to bring the particulate levels down below safe levels as quickly as possible. Dust will settle on its own but the finest and most dangerous dust can linger in the air for hours but with a properly sized air filtration system you can decrease your exposure to dangerously high particulate levels to less than 10 minutes after an event in most cases. There are several variations and brands of air filtration systems but in general they are generally ceiling mounted units that use squirrel cage blowers to draw air through a two stage filtration system. Some have remote controls and include a timer feature that allows the user to set the system to continue running for 1 to 4 hours so the shop air may be cleaned even after hours. ​You hover over or click on the images below to see information regarding each of the units shown. 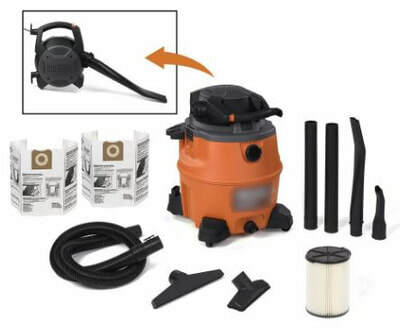 Shop Vacs are a very popular option because they are inexpensive, portable and may also be used for a wide variety of tasks outside of the workshop such as cleaning up water or, in the case of units with detachable blowers, blowing leaves or cleaning porches and sidewalks. A good quality shop vac will flow around 200 CFM with no restrictions which is 20% to 30% more flow than most dust extractor models. The trade is about 25% lower max static vacuum pressure. 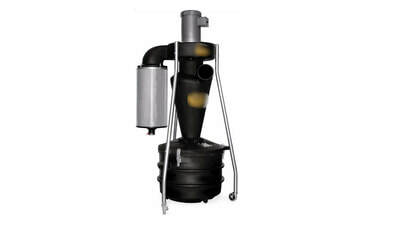 In most normal use cases a shop vac will outflow a dust extractor so it is superior from a flow standpoint. Some exceptions might be when attached to tools with very small outlet diameters such as palm sanders. In any case, the flow wills still be very adequate to provide excellent dust collection for many tools. I will say that I stopped using my 1.5 hp dust collector and use shop vac equivalents for all of my tools. In the article "How to replace your dust collection system with a shop vac" I'll discuss several hacks that allow a flow rate of less than 100 CFM to provide better dust collection than some OEM tool setups using over 600 CFM flow rates. Dust extractors typically use higher end filters and therefore provide higher efficiency filtration for very fine particles. 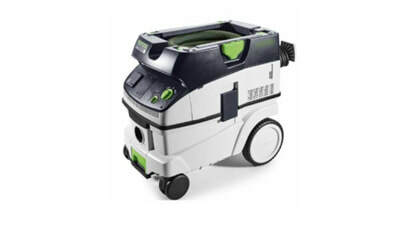 Most dust extractors include a motor speed control and are significantly quieter than shop vacs. 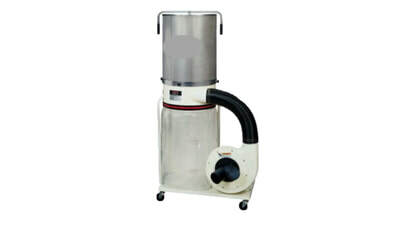 Some dust extractors allow stacking accessories on top of the unit which gives them greater utility. 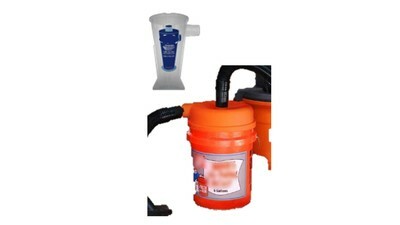 ​Is it worth it to pay the extra money for a dust extractor over a shop vac? That ​is a question each person must answer for themselves.